Remember how we talked about specialty drywall trims, and specifically D-300 reveal trim? We mentioned that this type of drywall trim will instantly give a house a modern and elegant look and is favoured by those who want to shift from traditional design to something more cutting-edge. This is a close up shop of the D-300 drywall metal trim. 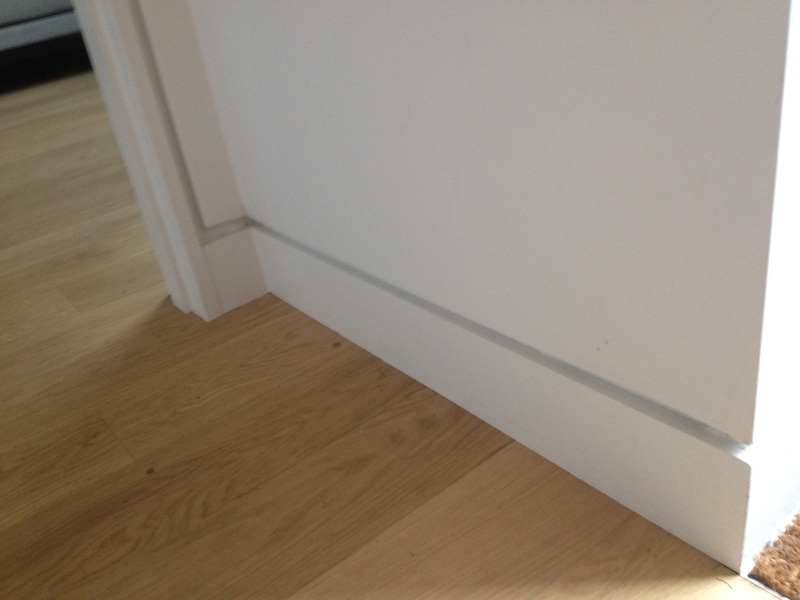 Here you can see how the baseboard was attached to the wall and door-jamb. This entry was posted in Drywall Tips and tagged drywall installation Toronto, residential, Specialty Drywall Trims by admin. Bookmark the permalink.